Robert Plant is considered to be one of the greatest singers of all time, in one of the greatest bands of all time Led Zeppelin. Zeppelin not only inspired other musicians,but many people looked up to Robert Plant. If you have seen the movie The Song remains the same you know what I'm talking about, if you haven't seen it I highly recommend you buy it! Ever time you would listen to Robert Plant sing, you would visually understand where the song was coming from. One example of this is Stairway to heaven, in the song they combine folk music with rock is amazing. His voice is great in that song, but then again his voice is great in every song. 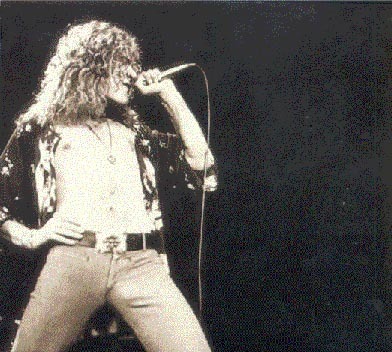 After the departure of Led Zeppelin due to the death of John Bonham, Robert Plant did a solo career, which he still does today, but many Led zeppelin fans wonder whether Plant would sing for Zeppelin ever again. Rumors have been saying that Zeppelin might play again. Hopefully that day will come true.